Mattresses require the same detailed, specialised cleaning as any other feature around the house which is subjected to heavy, frequent use. The mattress may not seem like the dirtiest spot in the average bedroom, but there are many hygiene issues stemming from poor mattress hygiene. With everyday use the mattress becomes quite dirty and worn, but the real hygiene issues are inside the mattress, where dust, bacteria, mites and other allergens tend to accumulate and multiply. 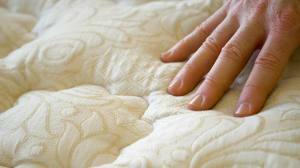 This should come as no surprise, since the inside of the average mattress provides for the ideal breeding and living conditions for many allergens and bacteria. Usually the inside of the mattress is dark, warm and humid, plus many bedrooms are poorly aerated and don’t really see much sunlight. Our professional London mattress cleaning service is the only proven and effective way to clean deep inside the mattress, not just across its top layer. We guarantee to clean deep inside the mattress layers, and provide you with genuine quality cleaning results you can actually see and feel. Conventional mattress cleaning is highly inefficient and will only waste your time and resources without actually giving you proper results. Our specialised London mattress cleaning service is performed using professional grade steam cleaning equipment, which cleans deep inside the mattress and gives you lasting hygiene. Just like carpets, your mattress should be cleaned professionally at least once every six months as this also allows for better bedroom hygiene and improved indoor air quality. 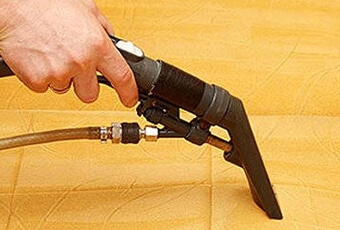 The mattress cleaning process begins with thorough vacuuming of the entire mattress in order to remove any large bits and pieces of dirt and debris. This is followed by the application of steam cleaning equipment, which not only cleans deep inside the mattress, but also kills off germs and bacteria. Our professional mattress cleaning in London is arguably the least aggressive and nontoxic way to clean your mattresses as it uses the natural cleaning power of steam. Only in cases where stains are stale and really stubborn, our cleaning teams might apply a sparing amount of nontoxic cleaning solvent in order to lift and remove the stain completely. 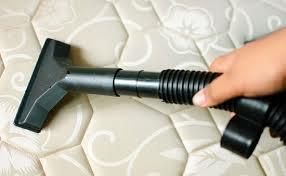 Our mattress cleaning service in London will leave your mattresses clean and fresh just the way you need them to be. Most mattresses will be dry enough to use after a few hours, though exact drying time will depend on humidity and temperature inside the room.